Shopping with your baby can be a challenging experience. 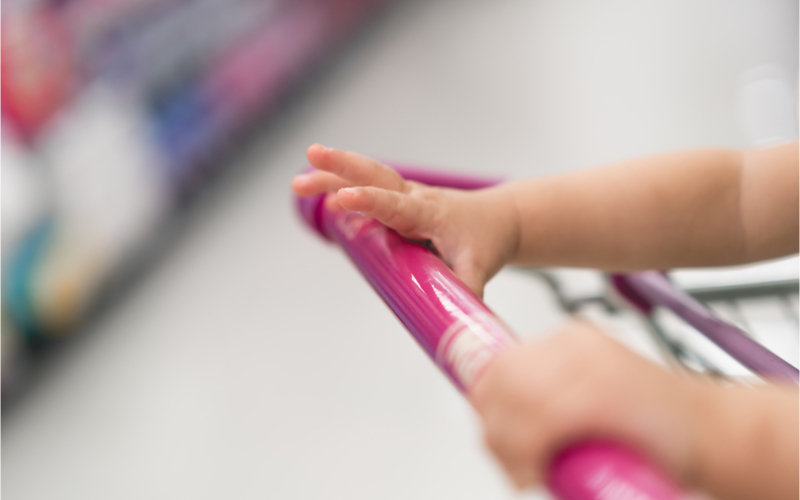 Serious injuries are quite common from shopping carts. Place the baby carrier in the deep basket of the shopping cart, recruit an older sibling to help supervise your baby if they must be in the shopping cart, or leave your baby at home when possible.